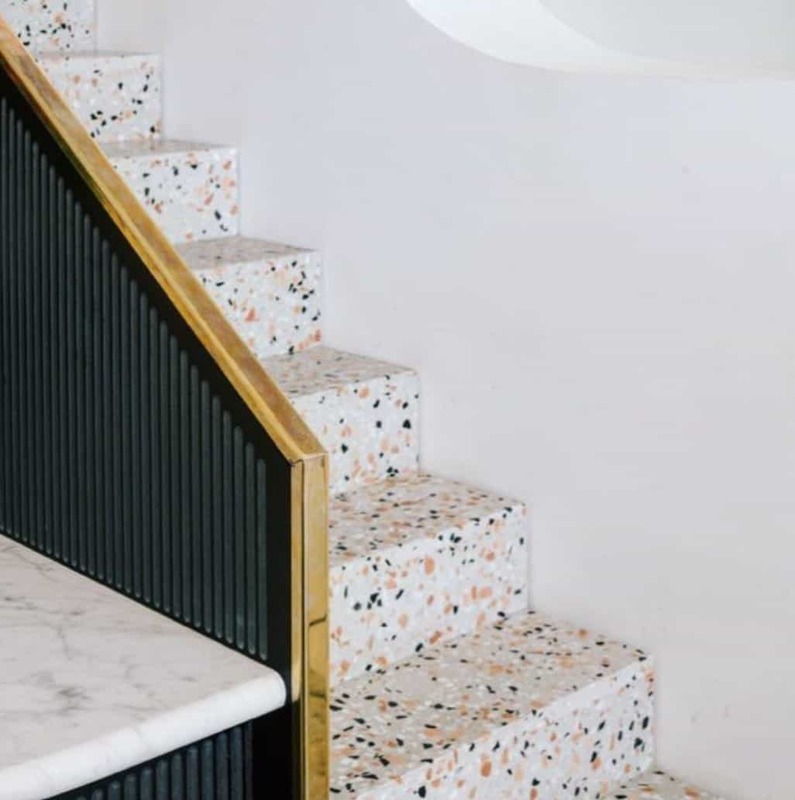 Terrazzo has been creeping back into our lives since last year and 2017 has seen its popularity grow. I can’t see that coming to an end just yet either. 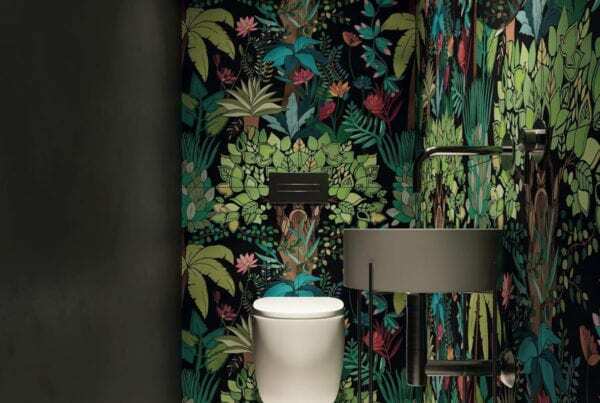 Its a really flexible material, consisting of marble, quartz, granite or glass chips set in concrete, this traditional flooring material is making its way to home accessories and beyond. 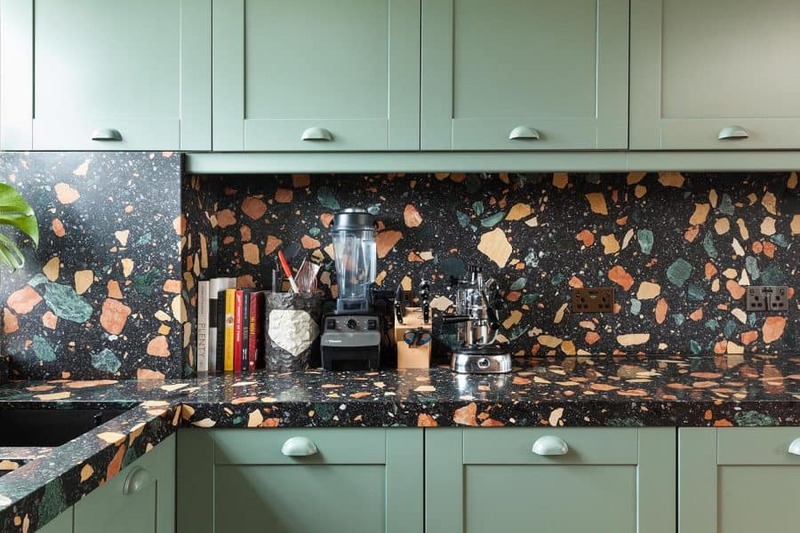 You might remember that standard supermarket floor with terrazzo design laminate floor tiles, but that’s not what we’re talking about here… modern terrazzo is sophisticated and of a really high quality. That said, terrazzo still makes for a fantastic flooring option. Used with a metallic trim it can be really spectacular. One company, Dzek (www.dzekdzekdzek.com) has undertaken some amazing projects. 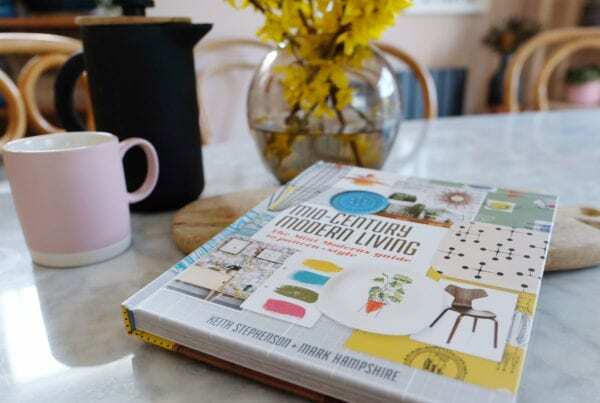 From stairways to kitchens, they customise their materials to suit the room and colour scheme. Personally, I see it in my hallway, creating an elegant and exciting entrance space! The shot opposite really caught my eye. I really like the gold accent used with it – just fabulous! 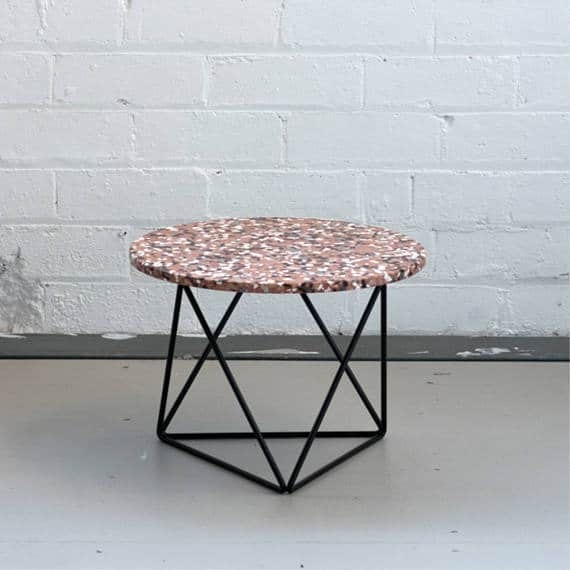 The high street is has started using terrazzo, from table tops to lamp bases, you can get some great pieces. Here are some that caught our eye. 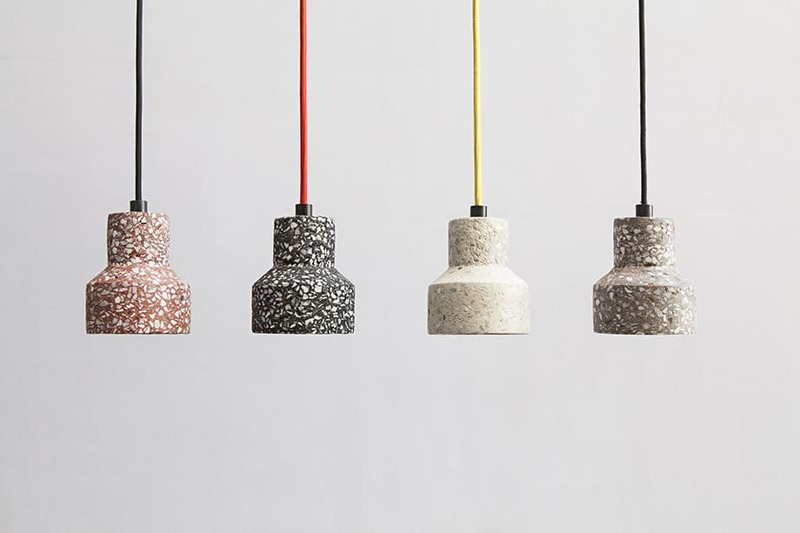 Terrazzo makes a fantastic light shade. These ones from Benudesign look great with the colour flex. I’d like several of these over my dining table! 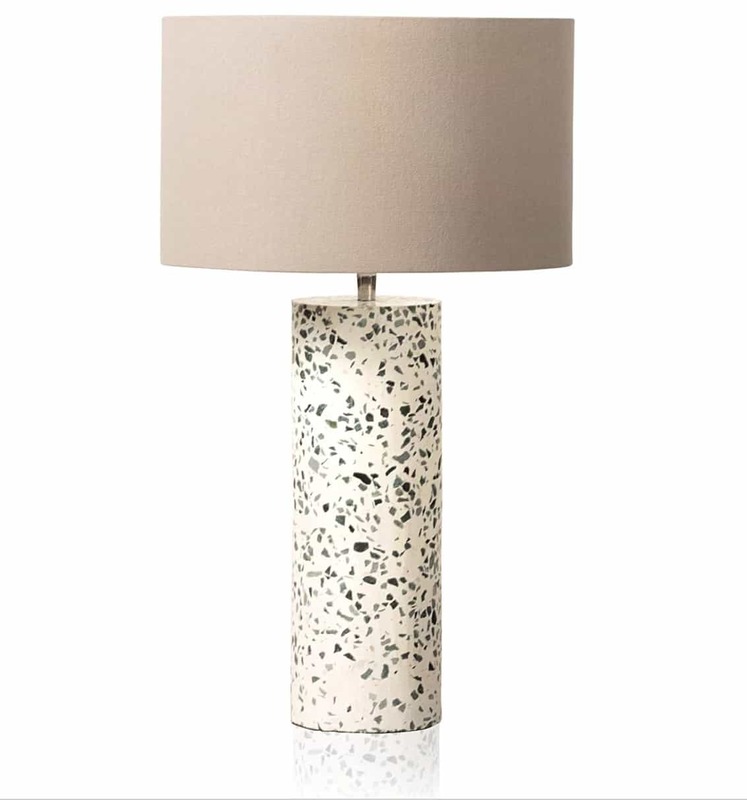 Oliver Bonas offer this beautiful lamp base for £60. 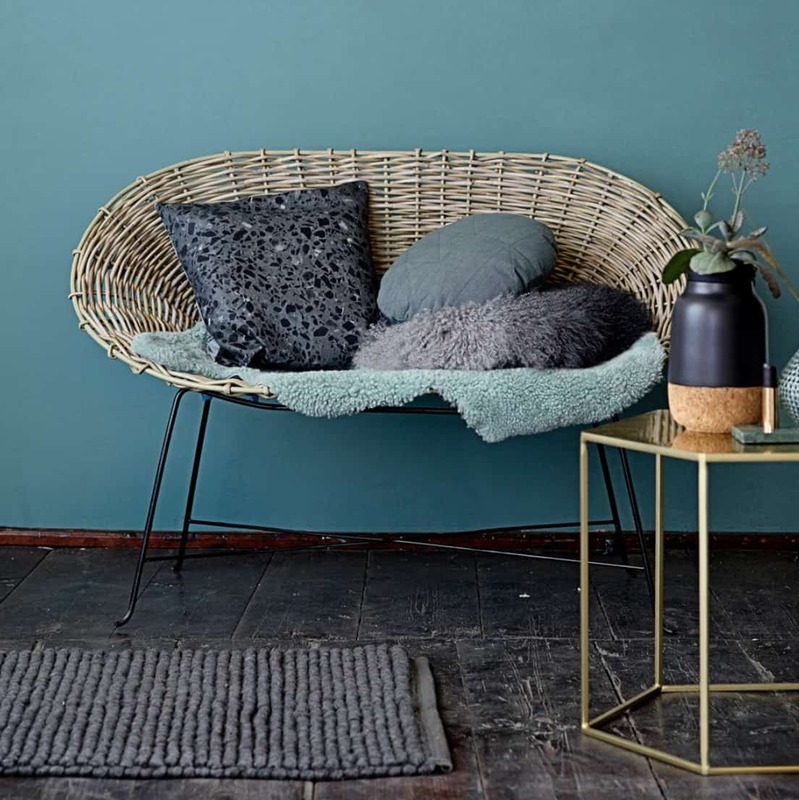 With grey and black flecks it’s nice and neutral to fit with your home’s colour scheme. 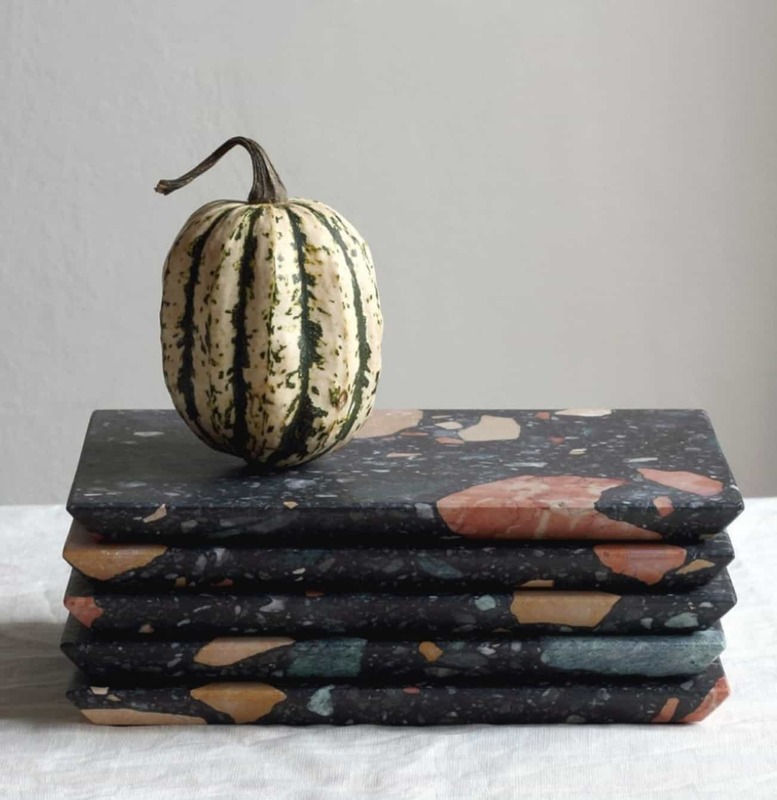 If you’re not looking to replace all the worktops (lol) you can liven them up with these beautiful chopping boards. I just love the colours in them! These are from www.makersandbrothers.com and are £200-ish for the set. 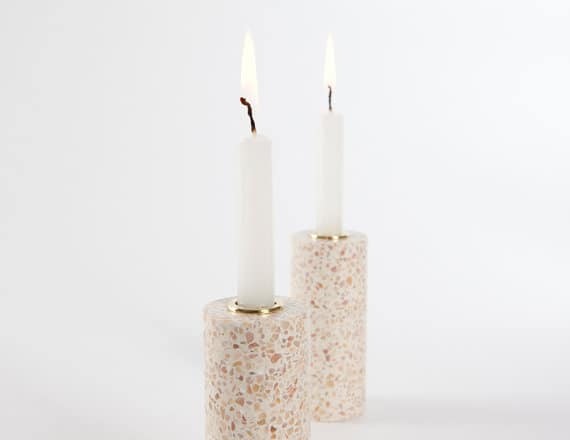 These pretty pink candle sticks are from Etsy. We found this lovely table also on Etsy from Hillydesign store. Its only £48 and has some beautiful metal legs. Love the colour of this one.